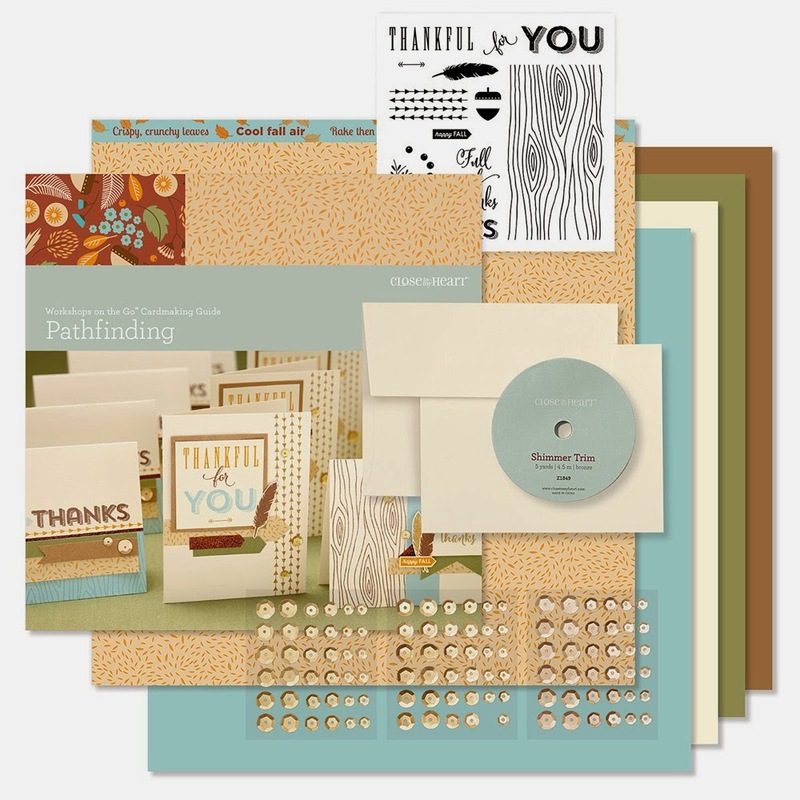 Creating with Christine: Pathfinding Club Cards! In November my clubs will be working on our Pathfinding Card Kit. We are making 15 cards/envelopes (5 each of 3 designs). Here is the first design - perfect for anytime you need a thank you card! I've used the woodgrain embossing folder on the glacier cardstock and kraft paper. And I love how there is just about 1/8" of bronze shimmer trim peeking out from under the cardstock! I've also embossed the glacier cardstock with the woodgrain embossing folder here too. The addition of "happy fall" makes these cards perfect for this time of year! And I'll show you how to get a two-toned ink look with your sentiment. Here is the third design - I love the combination of fonts and colors on this card! and an exclusive stamp set valued at $17.95! Contact me if you'd like to join one of my clubs - either locally or long distance!